Kayaking can be a satisfying hobby which can eliminate your stress and make you feel lighter. When you are starting out something, there is a natural tendency to be impatient. But patience and proper preparation can make the activity enjoyable and worth the wait. So, in case you got a new kayak or have been bitten by the kayaking bug and intend to go out on the water, here are some simple beginner tips to keep in mind. Following these tips will surely make kayaking much more fun. For those initial trips as soon as your excitement is at a high, always have a mentor or guide with you. Having a mentor will be sure you do it the right way plus you will also get a confidence boost as soon as you begin to get the things right. Also sometimes the waters have diverse amount of current. A mentor is extreme in those scenarios as you will know firsthand how to handle those. Always do a Warm-up & Cool down exercise. Prior to beginning any sport, be it soccer, badminton, tennis etc. people always do a basic warm-up exercise. This is done in order to prepare your body for the incoming action. For kayaking, do basic stretching exercises before going out so that you don’t find yourself in pain after that first energetic paddle excursion. Also once you are finished kayaking, you should again do these stretches that you did before paddling. Don’t be a merman / mermaid and do wear a life jacket always while kayaking. It only takes a while to getting used to. Also real life heroes always wear life jackets. Take a look at some of the rescue operations and you will see. Without a life jacket,you won’t be able to keep yourself for long in case you get tipped over and are quite some distance from the coast. If you’re in a cold weather, life jackets help keep your body warm. Do a Weather Check Rough weather conditions can make holiday less enjoyable if you are just starting out. Also a weather check can save you from expected extreme fast currents. Well if you’re only beginning, its important that you know how to paddle correctly and efficiently. Test out a basic rafting session with a local rafting tour guy. It can allow you to get the fundamentals right. You’ll also know basic positions and how to handle mild currents. 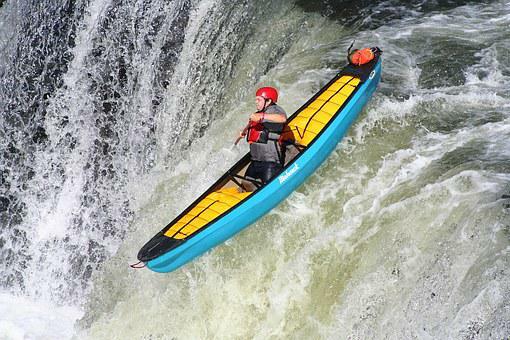 Additionally, it will add more excitement to the growing urge to go out kayaking. Armed with the basics you’ll be more confident the next time you plan that kayaking trip. Always carry a mobile phone (or a satellite phone in the event you got one) for those emergency situations. You never know but being prepared beforehand is the best way to go about it. These are only some basic things that will permit you to have a good as well as a safe kayaking trip.